Nicely updated ranch home set on 12 acres with beautiful views! Newly renovated kitchen, master bedroom and bathroom, attached three car garage and screened in front porch. A F Palmer Elementary School / Windsor Central Middle School Pre-School, Elementary School, Middle School / Public 7 3.39 mi. Windsor Central High School High School / Public 7 4.54 mi. C R Weeks Elementary School * Pre-School, Elementary School / Public 6 7.97 mi. W A Olmsted Elementary School * Pre-School, Elementary School / Public 2 3.51 mi. Afton Junior Senior High School * Middle School, High School / Public 3 8.47 mi. Harpursville Junior Senior High School * Middle School, High School / Public 4 3.51 mi. 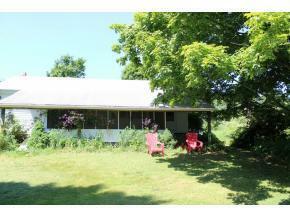 2461 Nys Rte 79, Harpursville, NY 13787 is a 3 bedroom, 2 bath single family home was sold for $118,720.